With so many wetland areas in Pittwater this great idea and good news from the City of Sydney Council, now officially open and working successfully, may be of interest to many here. Sydney Park is a large recreational area in the inner-city area of Sydney. The parkland is located in the suburb of St Peters, sitting along the borders of Alexandria, Newtown and Erskineville. The park is 41.6 hectares (103 acres) in area, comprising large open recreation spaces with distinctive hills that provide 360 degree views over Sydney, a children's playground, wetlands, a sports oval (Alan Davidson Oval), a children's bicycle track, sculptures, a heritage area featuring the remains of the brickworks that formerly occupied part of the site, and the AIDS Memorial Grove. An extensive water re-use system to help wetlands thrive and support wildlife in Sydney Park was officially opened in mid July following a multi-million dollar upgrade. Stormwater retention ponds constructed in the eastern section of the site have been transformed into wetland habitats, partially recreating the original character of the eastern part of the site, and this has attracted a wide variety of bird and animal life including dusky moorhens, Australian magpies and pelicans. 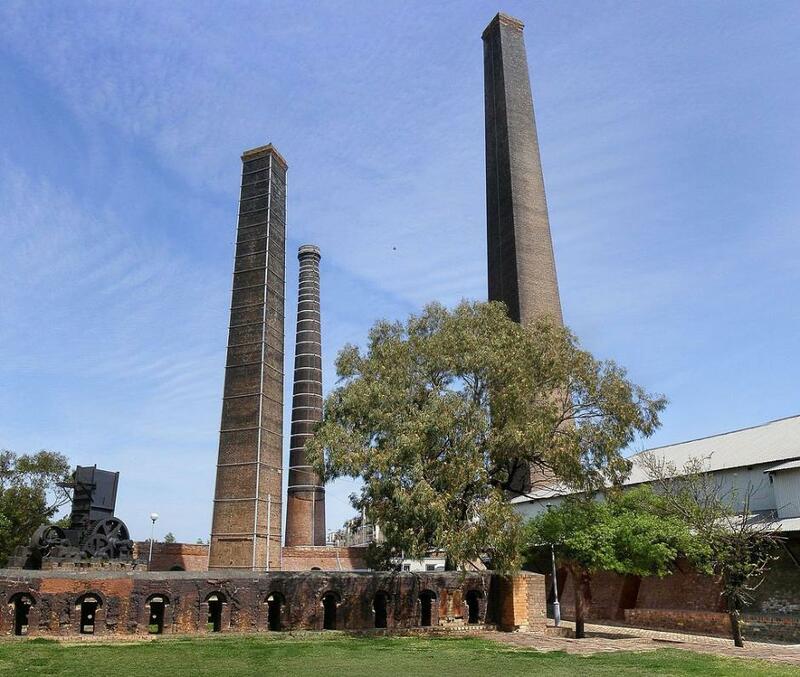 Since 2004, the City has invested $23.25 million transforming the former brick-making factory on the site into a beautiful regional park. It was recently recognised with a Green Flag award, an international accolade that acknowledges great parks for their value to the community. The award is the City’s 3rd Green Flag, with Redfern Park and Hyde Park winning the prize over the past two years. Pittwater’s Dragonfly Environmental were key consultants for advising on retaining and creating new habitat for native animals as part of the Sydney Park water reuse scheme. Dragonfly Environmental worked to move native animals from wetlands that were being drained (so they can be upgraded) to other wetlands in Sydney Park. Here the DFE Team are catching and relocating Eels and Long-necked Turtles. The City of Sydney began building the second stage of Sydney Park’s water reuse scheme after the tender recommendation was endorsed by Council in December 2012. The project will deliver the third largest stormwater-harvesting system in NSW and the largest City project in Sydney Park, and help them achieve their 2030 target for 10% of water demand to be met through local water capture and reuse. Water will be reused to top up the wetlands and irrigate the park, and potentially be made available to other users throughout the local area. This project also provides an opportunity to enhance the existing landscape and improve the ecology, environmental sustainability and overall look of this park. The developed design had been configured to allow works to be done in phases if necessary. The initial phase will harvest and treat 535 million litres of stormwater per year through 2,400m2 of bioretenton system located next to wetland 2. The next phase would harvest a total volume of 845 million litres per year through an additional 1,600m2 of biorention system located next to wetland 4. The $11.3 million storm water harvesting system will capture and clean enough water to fill an Olympic-sized swimming pool every day, providing a sustainable supply for the park and its wetlands and returning any remaining water to Alexandria Canal. New pathways and viewing platforms, a water cascade, bridges and picnic tables are also features of the upgrade program formally opened by Lord Mayor Clover Moore. 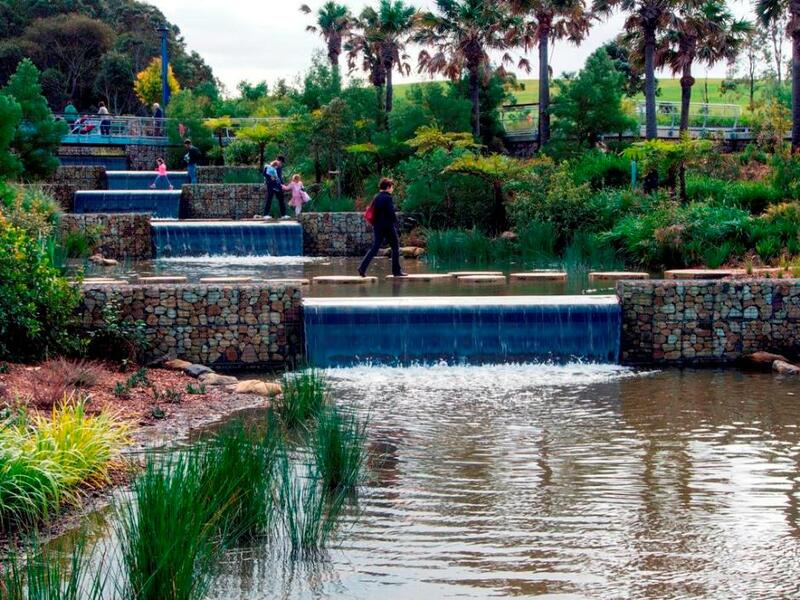 “Thanks to a lot of creative work by the City, Sydney Park is a much-loved open space, which has been made even better as a result of this water recycling system that will sustain its lawns and wetlands for generations of Sydneysiders to enjoy,” the Lord Mayor said. “We have added a system to capture contaminants and sediment, boardwalks, picnic tables and better signage. With cascades and bush areas, the wetlands are already attracting new wildlife to the park, which has the highest population of native bird species in the local area, including 22 wetland species. “Half of the one million people who use the park each year are from our local government area, while the other half travels from across Sydney to spend time here with their families and friends. The City built the water re-use system in partnership with the Australian Government, which provided $5.4 million of the $11.3 million budget, through the National Urban Water and Desalination Plan. 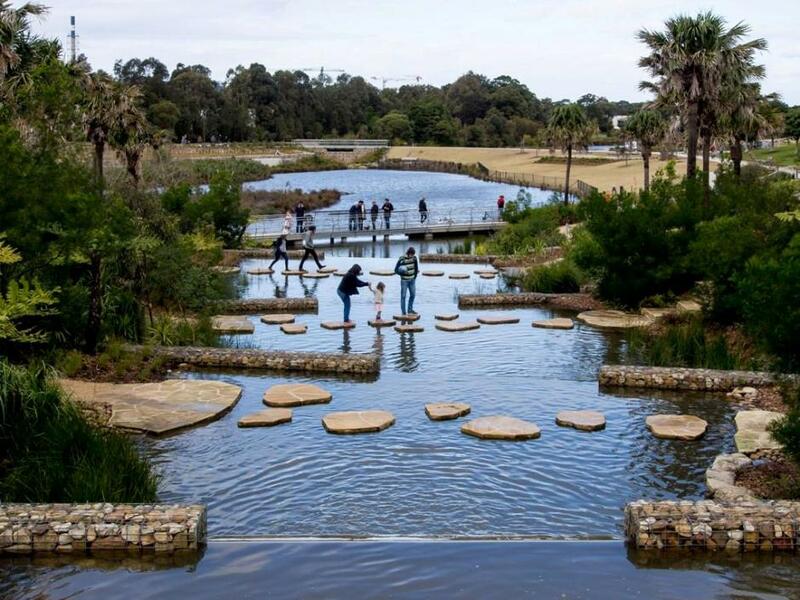 Sydney Park now offers active and passive recreation for people of all ages and serves as a much-needed “green lung” for a heavily populated part of Sydney. A café, an award-winning all-abilities children’s play area and a revitalised village green have all been built by the City. Construction of the new children’s bike track is currently underway, and work will begin on a City farm later this year. 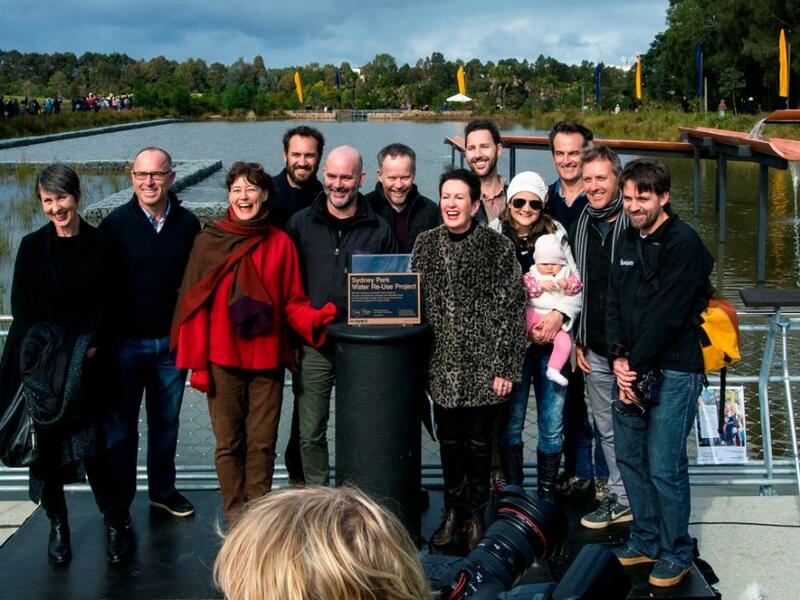 On Saturday 18 July the completion of the Sydney Park water re-use project was celebrated. Local residents and the wider community enjoyed free entertainment, refreshments and fun all-ages activities including costume-making and a Taronga Zoo animal display. Stage 1, completed in 2010, harvests stormwater from a small urbanised catchment southwest of the site. 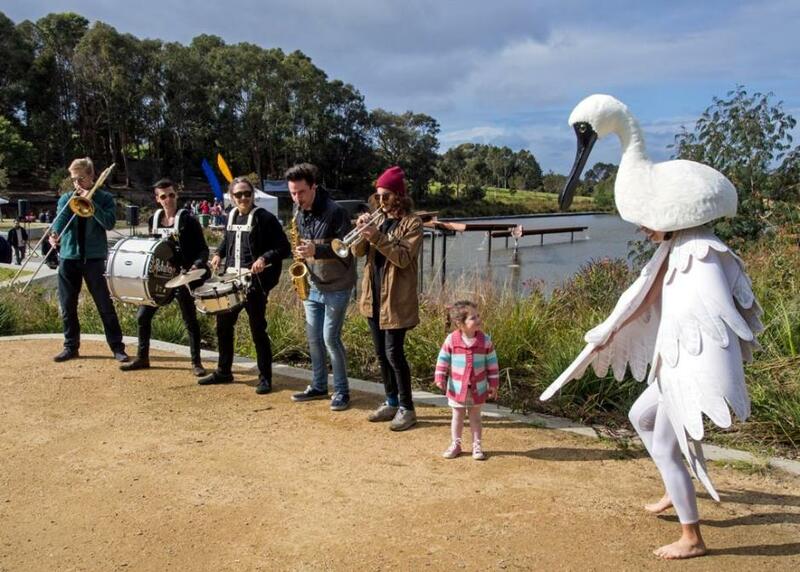 During 2012/13, stage 1 harvested and treated 50 million litres of stormwater to top up its wetlands. Stage 2 expands the capacity of the wetlands to supply water for irrigation within the park. Stage 2 diverts stormwater through a new underground pipe into the Sydney Park wetlands, from the stormwater channel near the corner of Euston Road and Sydney Park Road. • more filtration and UV cleansing processes as water is drawn from the system for reuse. • installing an artwork comprising a series of elevated terracotta channels that reflect the site’s history and aerate and distribute water throughout the wetland system. • providing information to visitors within the park about the water treatment and ecological function of the wetlands. Sydney Park has 4 wetland areas which are an important part of the park’s ecosystems as well as playing a role in flood mitigation. Before stage 1 was completed, these wetlands did not have a sustainable water supply. • rapid growth of unwanted, submerged aquatic plants, such as azolla, which block sunlight. Certainly an achievement worth celebrating and a place to visit next time you wish to have a picnic closer to the city! Sydney Park water re-use opening - picture supplied.